Neil wanted to know about Jeff’s feets. Jeff’s feets are a wholly owned subsidiary of Jeff The Giant Orange Cat. His feets are proportional to his overall bobcat size. 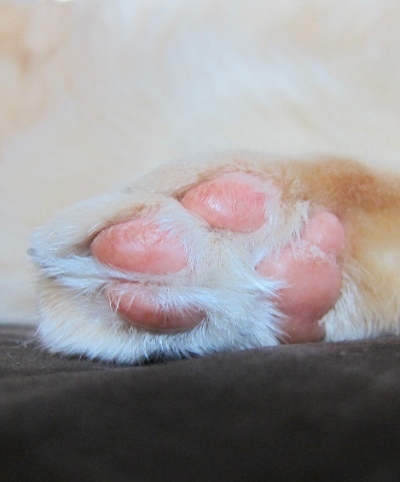 His paw pads are all evenly pink jellybeans. 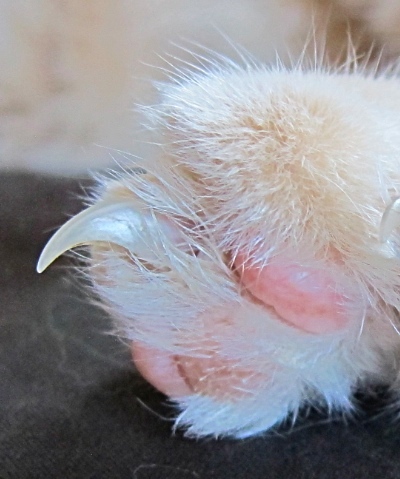 His claws seem somehow larger than average; however, this could be merely an impression given by past acts using them. 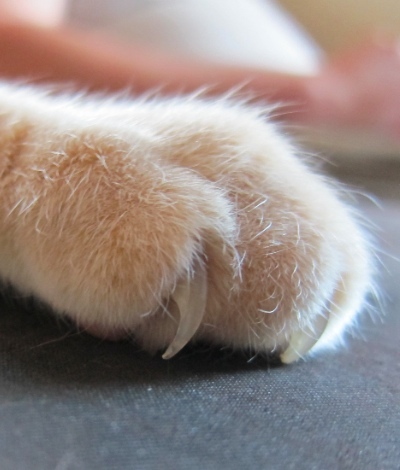 Jeff has one rear claw that does not retract properly and protrudes at an impertinent angle. Staff thinks he must have broken his toe at some point during the pre-Staff era. It’s never seemed a bother to him.